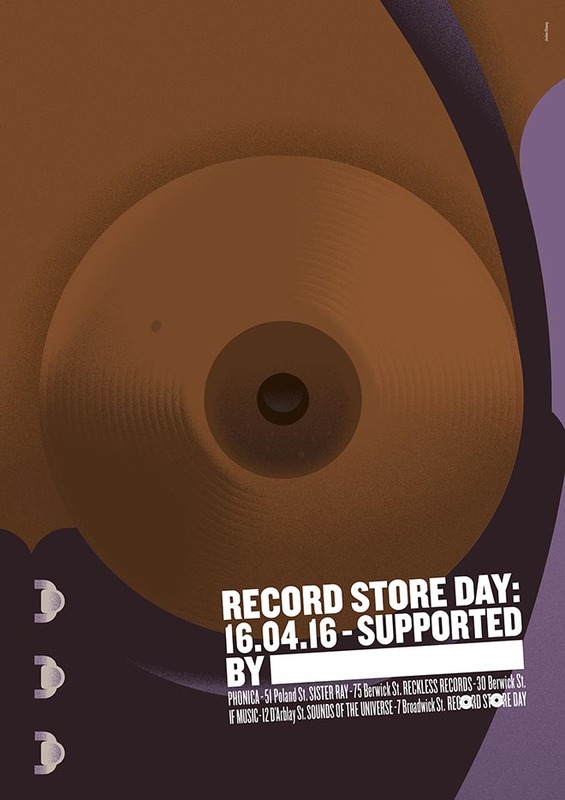 Record Store Day in Soho, London, has been given a boost this year with the creation of posters celebrating music on vinyl records. Founded in Baltimore in 2007, Record Store Day now celebrates the culture of the independently owned record store across the world on the third Saturday of April each year. 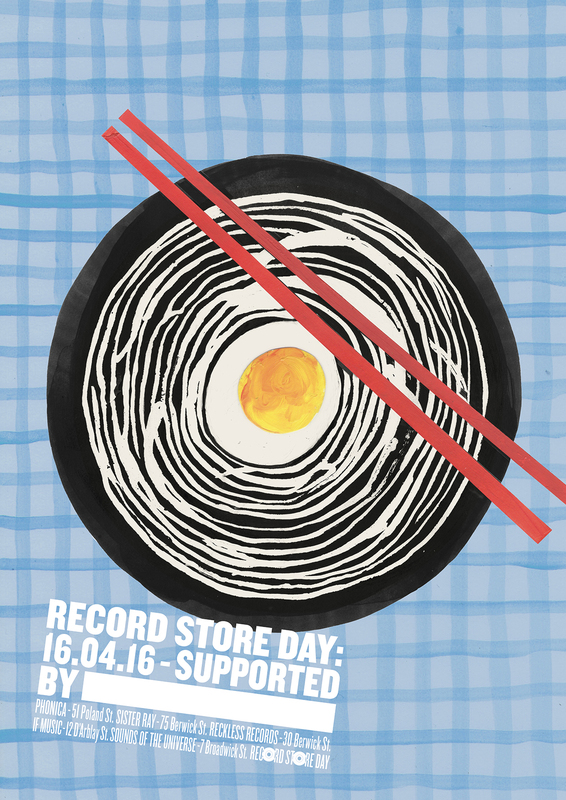 J Walter Thompson London creatives worked with local illustrators to encourage independent shops shops and restaurants of Soho to promote their fellow independent record stores on April 16. 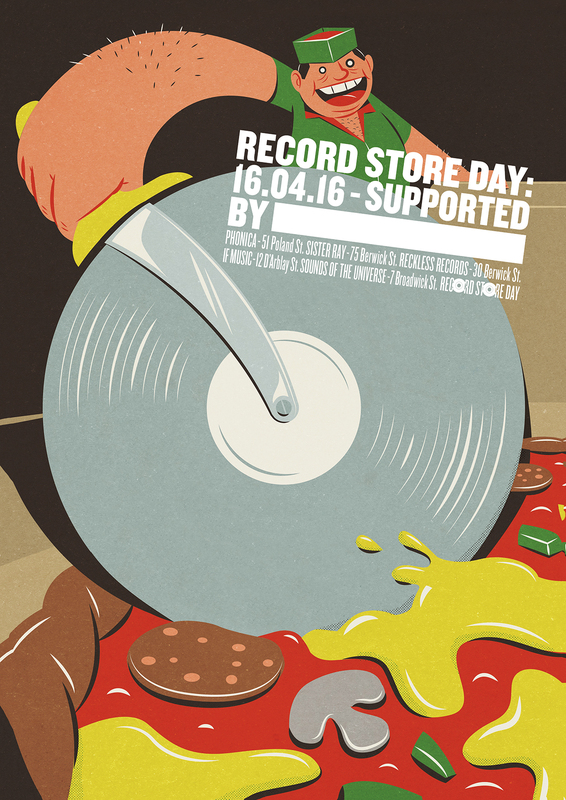 Each poster features a visual related to a popular business found in Soho, with a vinyl twist. 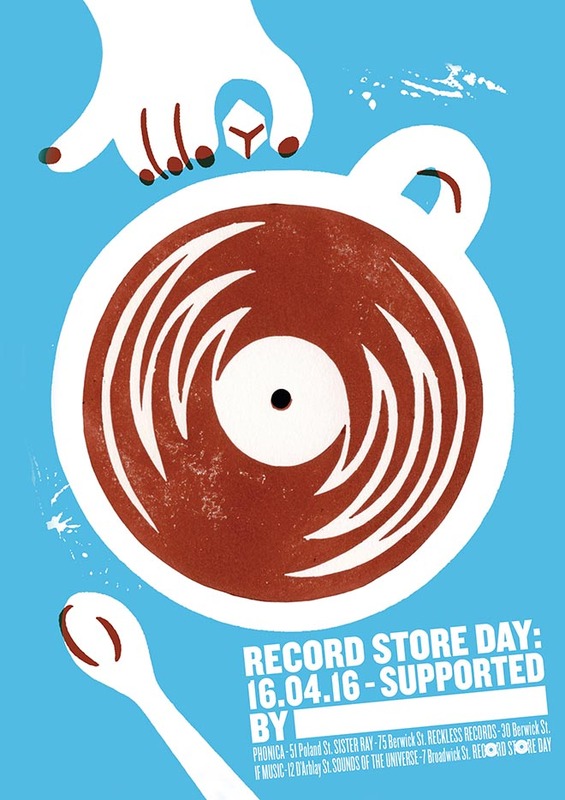 Stores can select the poster most relevant to them, write their name on it to show they support the day’s events and stick them up to tell their customers where Soho’s record stores are. 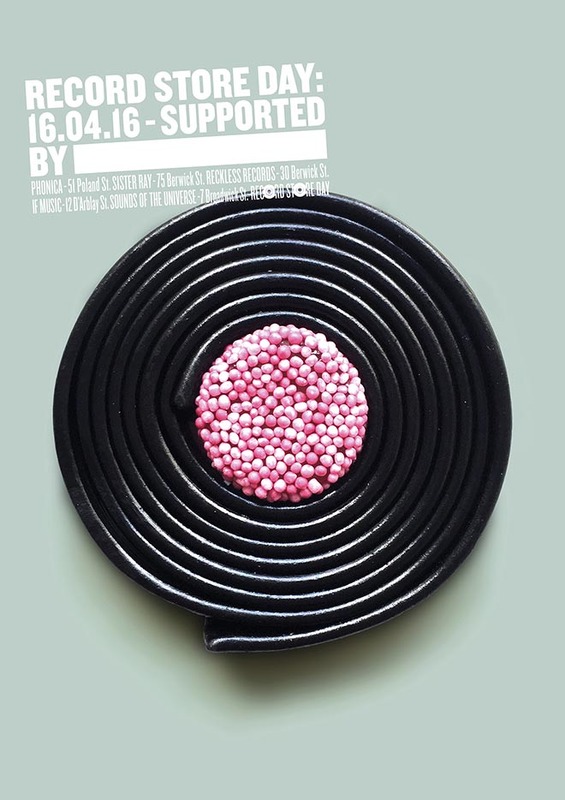 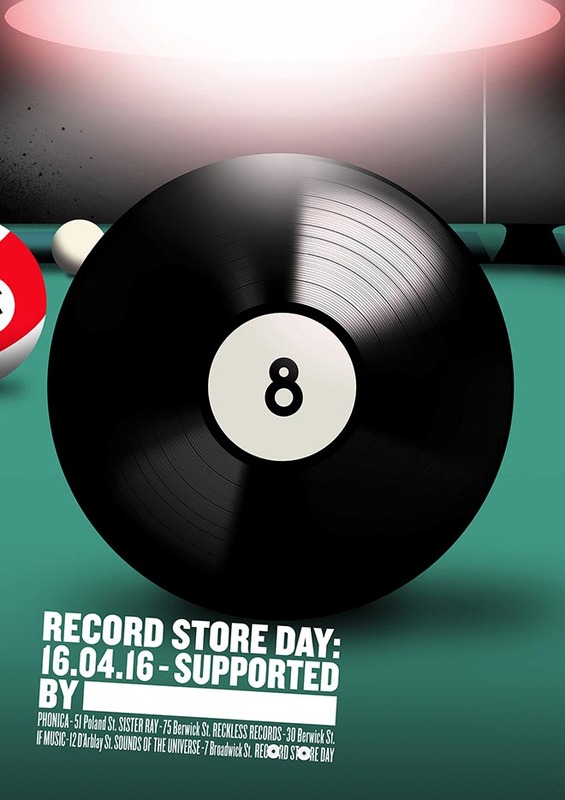 The Record Store Day poster campaign was developed at J. Walter Thompson London by creative director Dave Dye, creatives Senan Lee and Pansy Aung, creative producers Ian Hughes and Kate Duncan, working with illustrators Jordon Cheung (Breast), Toby Leigh (Pizza), Paul Bower (Coffee), Dave Anderson (Button), Mario Wagner (Pool ball), and Chris Gilvan Cartwright (Ramen).